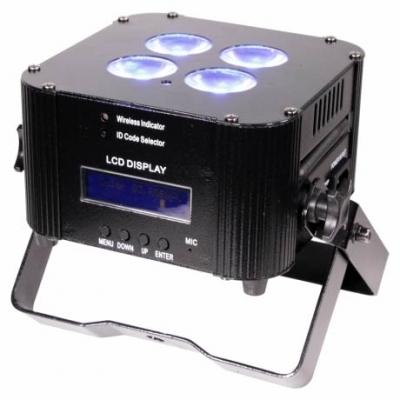 The Eternal Lighting CUBEecho MK2 is a 6-in-1 RGBWA+UV battery powered LED par with wireless DMX. 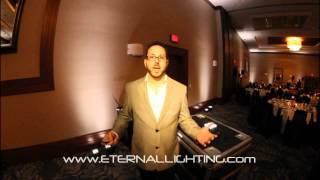 If you are looking for the perfect uplighting tool, then you are in the right place. 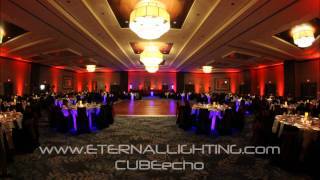 The CUBEecho™ is the latest and greatest product released from Eternal Lighting for the CUBE™ Series as a small and compact rechargeable battery powered LED Par. Some of its features are the first ever to be packed into small fixture like this. We included 4 x 6-in-1 18 watt RGBWA+UV LEDs, Built in 2.4gHz Wireless DMX which will act as the purpose of a Wireless DMX receiver or transmitter. We also have included a very easy to read Back-Lit LCD Display that has 2 lines of text with 16 characters which allows for full lines of text to read words. No more trying to decipher what the 4 Digit Display means. They make for a very easy and user friendly read out Display. We also outfitted this fixture with IR remote controllable functionality, to make it the more simple to control LED par intended for up lighting. You will quickly realize this is the easiest to LED Par you have ever encountered. 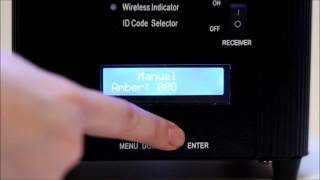 By simply pressing the Master button on the IR Remote you command the CUBEecho to act as the wireless controller for the rest of the CUBEechos in the room. This means you can change the color of the room with the touch of one button. This feature also is compatible from the CUBEecho to our ElitePar5 and the CUBE5 as well. All of this is a rugged 4.9lb fixture. The EliteProgramming™ works with each variation of the ElitePar™ Series or the CUBE™ Series. So of course we have included this into the CUBEecho™. Take special attention to the video and you will see all the great features. The moment you start to browse through the menu on the CUBEecho™ fixture you will realize that Eternal Lighting is leading and the others are just trying to keep up. Remember, Eternal Lighting makes all the difference. • The CUBEecho has absolute ZERO noise - No Fans to make any Noise. • Ability to create & store into memory 5 Custom/manual Colors. • Rubber feet for non intrusive lay flat design. • Dimensions (L x W x H) 6.75" x 6.75" x 4.25"